Pat Drummond and Karen Lynne are a singer/songwriting duo from the Blue Mountains and are fast becoming a well known concert act. Together they form a wonderful combination of two very different but complimentary acts. Both individually and as a duo they have been nominated for and won singing and songwriting awards on multiple occasions. Pat, a well known festival performer is a strong instrumentalist and a very capable songwriter. He is known as the finest singing storyteller in Australia whose stories are about everyday people and everyday places and whose work has been described as ‘clear-eyed yet compassionate‘. 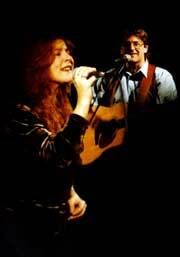 Karen, well known in country and bluegrass circles, joins Pat with her strikingly beautiful voice. She sings her own material and also splendid interpretations of some of Pat’s lesser known songwriting material. 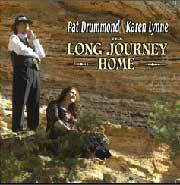 Together, while launching their new album ‘Long Journey Home’, they’ll make you think, laugh, cry, clap and sing along. See you there! Pat and Karen will be supported by a variety of other performers.